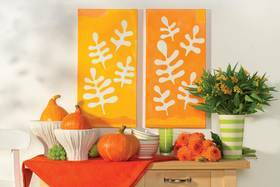 Here you can make stylized leaf-pattern wall paintings. The trick: the leaves are not painted but sprayed with stencil technology. The brilliant white undercoat gives the patterns a particularly intense brightness. 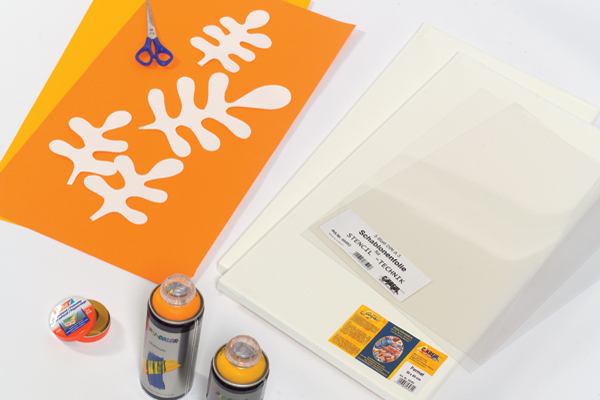 For a frame size of 30 x 60 cm, you will need A3 stencil sheets and spray glue or double-sided sticky tape, as well as spray paints in orange, pastel orange and melon yellow colours. 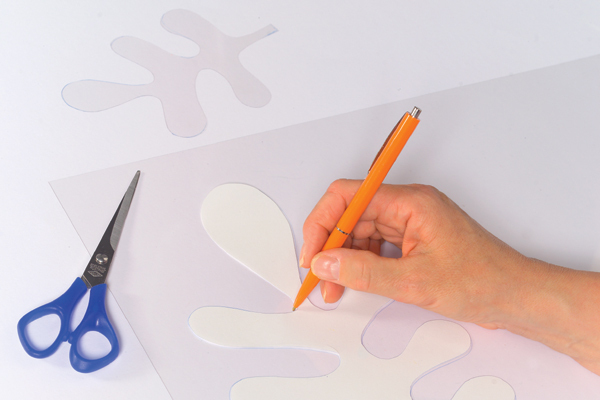 Draw and cut your leaf patterns and other decorative elements from paper or cardboard according to your own design. Arrange the stencils on the stencil sheet. Trace the stencil with a felt-tip pen and then cut the pattern out of the sheet. 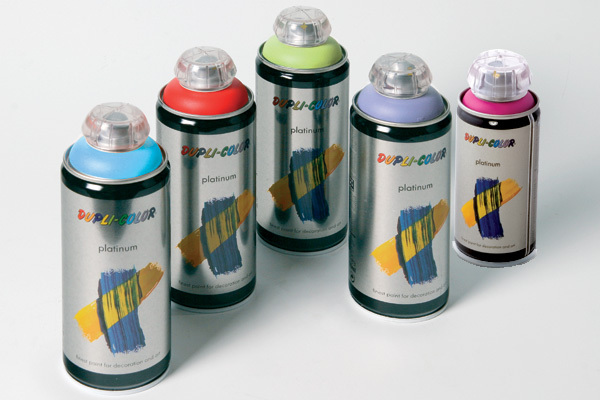 Once you have stuck the sheet onto the frame with spray glue or tape, spray the frame with your chosen colours from our platinum range. 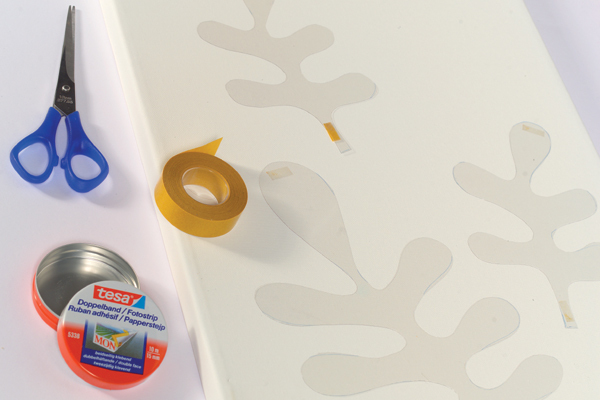 Do the same for decorative elements on the top and bottom edges. 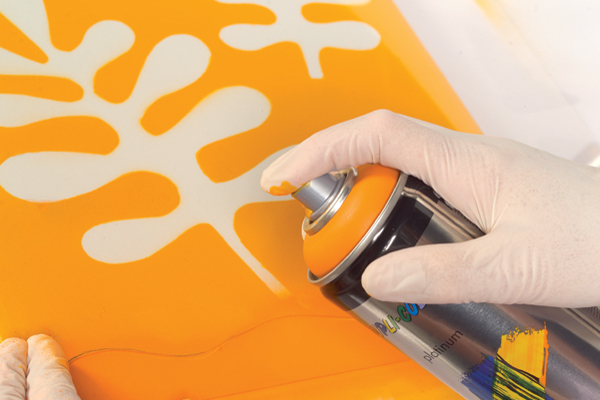 Carefully stick the stencils on and spray with a contrasting colour. The colours have to be left to dry before you take off the stencils, otherwise you can smudge your artwork. Finished: you’ve created a trendy look by laying matching colours on top of one another – contrasting beautifully with the bright white areas.